It goes without saying that no two engagement sessions are the same. Because no two couples are the same! Something that is disheartening to see is couples expecting that their engagement photos will be a cutout of what they saw on Pinterest or what they were told was expected of them, instead of allowing their natural relationship to influence the session. Something that I've learned over the years is that not every pose is going to work for every couple. Sometimes my favorite pose just isn't working one day for whatever reason. Or the pose that I think would work well might not be all that exciting to my couples. So it's important to be adaptable. 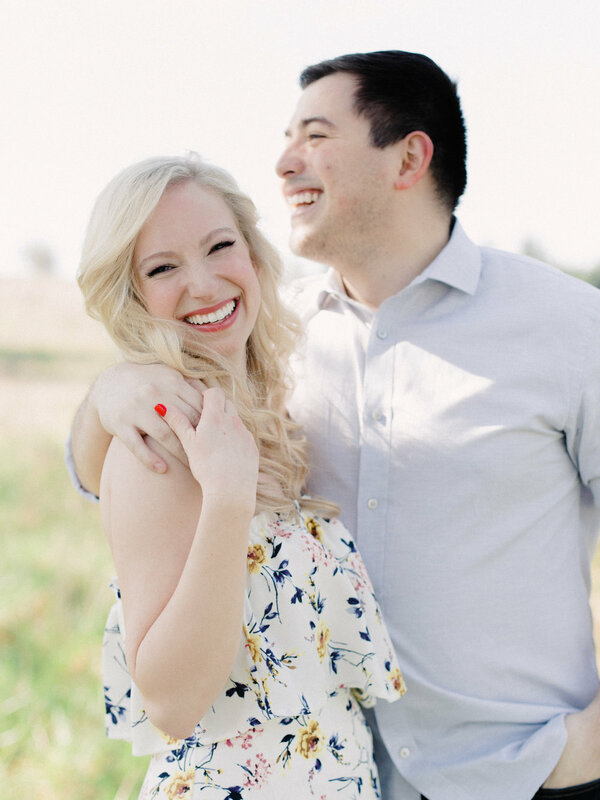 A common trap in engagement photography is to keep a backlog of poses to revisit each session. And not that every session can't include specific "winning" poses, but it's all too easy to get into a routine and forget the client behind the pose. Which is NOT GOOD! Who is Katie Dessin Photography?